يقع Metro Hotel في ساوث بيرث, برث, هو خيار شائع بين المسافرين. يقع مركز المدينة المثير على بعد 5KM فقط. كما يمكن الوصول بسهولة إلى WACA Ground, ‪The Perth Mint‬, ‪Elizabeth Quay‬. يعرف Metro Hotels بالمستوى الراقي لخدماته ولباقة موظفيه، وهذا ما ستجده في Metro Hotel. يمكن لضيوف الفندق الاستمتاع بالميزات التالية على أرض الفندق: واي فاي مجاني في جميع الغرف, خدمة التنظيف يوميًا, مجهز لذوي الإحتياجات الخاصة, مكتب الاستقبال على مدار الساعة, مرافق مخصصة لذوي الاحتياجات الخاصة . يمكن للنزلاء الاختيار من ضمن مجموعة من الغرف المصممة بعناية لتعكس جواً من الراحة، والتي يتجاوز عددها 147. يقدم الفندق العديد من الفرص للاستجمام كمثل حمام سباحة خارجي. يشكل Metro Hotel بخدماته الراقية وموقعه الممتاز، قاعدة مثالية للاستمتاع بإقامتك في برث. مطلوب مبلغ تأميني من البطاقة الائتمانية قيمته 100 دولار أسترالي عند تسجيل الوصول لتغطية أي رسوم أو أضرار أثناء الإقامة، وسوف يكون ردها عند المغادرة. أو يلزم دفع مبلغ تأميني بقيمة 250 دولارًا أستراليًا عند تسجيل الوصول؛ وذلك لتغطية التكاليف أو الأضرار المتكبدة خلال فترة الإقامة، ويُسترد هذا المبلغ عند المغادرة. Have stayed here 3 times now and always select the city view high floor rooms. 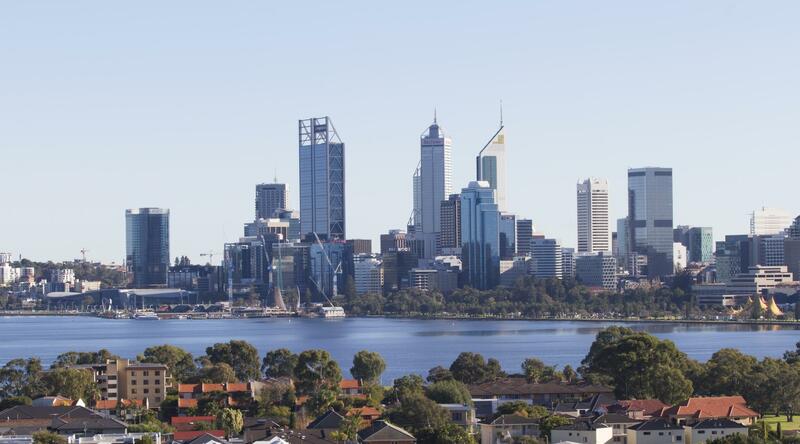 Great views of the Perth City Skyline especially at night and a short drive into Northbridge or to the casino. great value for money. We had an unexpected stay in Perth and booked the Metro for its convenient location and free parking. Have stayed at Metro before and pleasantly surprised with their renovations. They gave us an upgrade which was very muched appreciated. Would recommend and would stay there again. Thank you for the lovely review, it's great to hear your enjoyed your stay and we look forward to welcoming you back again in future. We've stayed many times before but this time when we opened our door we were hit with the smell of cigarette smoke. Time was not on our side so we didn't complain at the time but notified staff at checkout. Pros: Big Rooms and Free Parking Facilities. Location was quite good as it was near a few attractions. Cons: Housekeeping not that good. Never change the bedsheet even when there was stains.. No top up of drinking water, their reason being they only gave 2 bottles during checkin. Strange as it was troublesome for us to buy at the supermarket.. Check out is also at 1000hrs. They gave me extension till 11. After 11 they will charge $20 per hour. Totally unnecessary as check in for the rooms was only at 1400hrs even though I.came early. Loved my stay at this hotel and am eager to return again. I recommend staying in one of the executive rooms with a view as the view from your balcony is absolutely stunning. Love that there is room service available for dinner and having a free car park is added bonus. We had a surprisingly exceptional stay at this hotel. Id stayed here once before in the past and remembered liking it but this time we stayed in the executive wing of the hotel where the view from the balcony is absolutely stunning. The location is great and staff were friendly. Id definately recommend staying here. I found the room well suited to a business traveller. The Restaurant for a evening meal was not over-priced like some places I have stayed. The food was very good for the price. Breakfast was on par with more pricey establishments for both continental and cooked. All staff were very pleasant and accommodating. I most certainly would stay there again for the same pricing arrangement. My only, only concern was that the vehicle parking spaces were often very narrow with some requiring a very small car to fit. That said the upper level, exterior parking was often hard to get (if you could fit in the space) and the undercover parking while plentiful had no lift or ramp for those people carrying bags up and down daily. Many undercover places were also a tight fit as evidenced by the scrapes on some pillars. My partner and I stayed here for a few nights as she was doing dance training sessions about 20 mins away. The hotel is centrally located although it is old and parking got so full we had to park out on the street. Staff would ignore us as we entered/exited the hotel even though we would smile and say hello which was pretty disheartening. There is a restaurant on site and room service is available. Wi-Fi was not working on my phone but apart from that our stay was pretty comfortable and we needed to check out at 11pm (I paid for an extra night stay) we were able to do so as reception is open 24 hours. Which was really convenient. Great view of the city from the balcony. Overall, I would give this hotel 3.7/5 stars. Thanks for taking the time to leave a rating, we are sorry we didn't meet expectations this visit and hope to be able to welcome you back. My wife and I stayed here for a few nights in November 2016 and we would stay here again. Great city skyline views especially at night and friendly staff. Good size room and 5 minute drive to Casino and restaurants. Love the daily different type of detox water and apple at the lobby. Provide you the right basic you need. Love the location. Parmelia Hilton (so called 4-5 stars) don't even provide any mineral water for you. It was a nice stay for me and my friend. We enjoyed our night there. It was rather close to crown casino. So it was convenient for us as we planned our evening activity to be whiling our time away at the casino. The accommodation was good, it is starting to look a little tired, but the staff were great. The restaurant was pretty bad in terms of food. I had oysters (almost off and tasteless, and steak (tough and tasteless). The chips were good. An idea lower priced hotel if you don't need to be in the city. Only 15 minutes from airport. 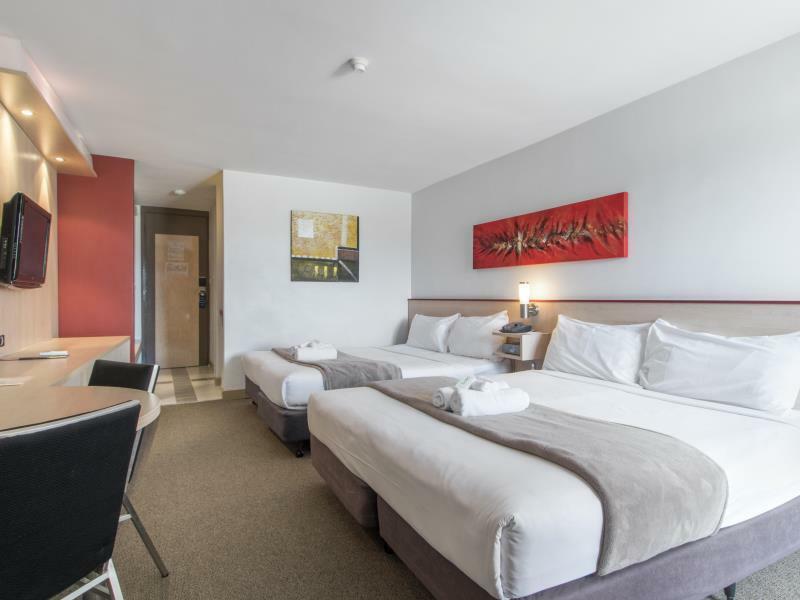 Large upgraded rooms. Great views. No smoking on verandahs is a bit ridiculous though. If getting room for around $120 for deluxe then good value but I wouldn't pay more. Nothing fancy, but clean and had everything we needed. We got two rooms for three guests side by side, and everything was in good order throughout our five day stay. On the last day, room serviced missed out afew towels and floor mats, but besides that, it was a lovely stay. The views from the balcony were stunning! We could even pick out monument hill. Would definitely recommend this hotel for a family trip. Great value for money. Spacious room and nice city view. Queit Room with huge beds and soft Pillows. The continental breakfast is perfect for me and my kids. Location wise is suitable for those who have own transport. 1. Beds are really, really lumpy and soft. 2. Toilets are tiny. 3. Really upset with the dining room during breakfast ; here's what happened: we paid for our room and specifically chose 'breakfast included' on Agoda (Agoda had two choices and two prices, one with and one without breakfast). On the first morning, we ate the full breakfast (continental and cooked). On the second morning, we were told that our booking only allowed us the continental breakfast. When we checked with the front desk, first they said that the all standard rooms come with continental breakfast FOC. So why did we have to pay the extra for the breakfast on Agoda? Was this for an upgrade to the cooked breakfast? If it was, then why weren't we allowed the cooked breakfast on the second morning? The front desk was nice enough to continue to let us have the full breakfast (continental and cooked) for the rest of the stay though. 4. 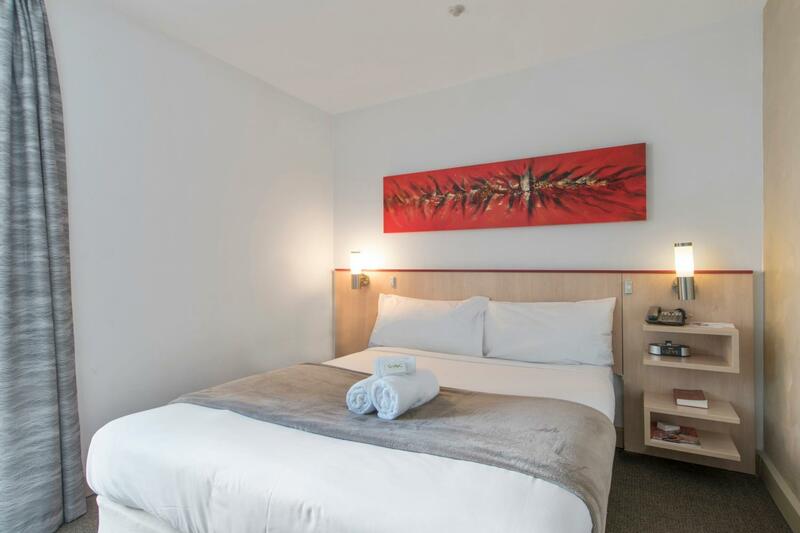 Other than that, no complains - good location (close to Perth Zoo and City Centre). Great view. Nice big room. Stayed for 6 nights because of location. Didn’t know that complimentary water only provided on arrival. Have to pay $2.50/ bottle onwards if required. There was a big yellow stain on duvet cover. Asked to be replaced and the housekeeper promptly replaced it. Overall enjoyable stay thanks to the view. Staff is very friendly, gave us a lot of tips around Perth and very welcoming. Hotel is very basic but provides you with everything you need. Travelers looking for luxury will not be impressed. Comes with free parking for hotel guests with rental vehicle.